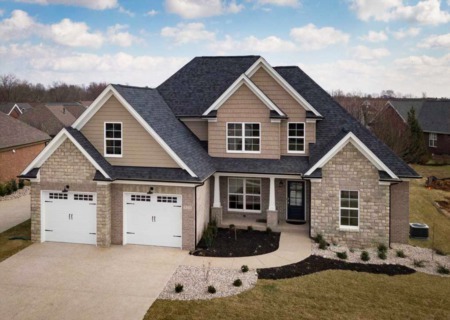 You won't want to miss this beautiful 2-story Cape Cod home in Polo Fields! Built for entertaining, this home offers a large dining room that opens to a sitting room for your dinner guests to enjoy. You'll love cooking in the bright and airy eat-in kitchen and spending time in the great room with its built-ins and cozy fireplace. For convenience, as you enter from the garage, there is a laundry room/mudroom and half bath. Upstairs, the large master bedroom with vaulted ceiling includes a lovely sitting area. The master bath boasts a separate shower and soaking tub with a skylight directly above that provides great natural light. You will also find 3 additional bedrooms on the second floor, along with a full bath. The beautifully-finished basement provides more entertaining space with a kitchenette and bar, a spacious open area and a den with built-ins. Currently, there is a 5th bedroom with an attached full bath in the basement. The added offering of this house is its prime location on the golf course. Sit on the large deck and enjoy the gorgeous views of the lush grass and tree line. Directions:Shelbyville Road East, turn onto Flat Rock Road. Turn left into Polo Fields. First right on Cowdry Park Lane. Turn Right onto Mallet Hill Drive. House is on the left. or Old Henry exit from Gene Snyder. Turn right on Bush Farm Road to Aiken. Right on Curry Branch through turn around to Mallet Hill Drive. SchoolsClick map icons below to view information for schools near 17209 Mallet Hill Dr Louisville, KY 40245. Real estate listing at 17209 Mallet Hill Dr Louisville, KY 40245. 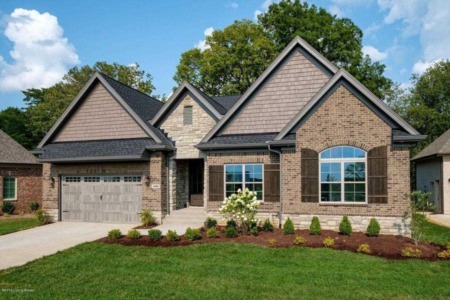 Description: The real estate listing at 17209 Mallet Hill Dr Louisville, KY 40245 with the MLS# 1528100 is currently listed for $419,000 and has been on the Louisville market for 19 days. You are viewing the GLAR MLS property details of the real estate listing at 17209 Mallet Hill Dr Louisville, KY 40245, which is located in the Polo Fields neighborhood, includes 4 bedrooms and 4 bathrooms, and has approximately 4107 sq.ft. of living area.